To make this garlic soup creamy, I decided not to use heavy cream and butter and instead used cooked rice. It’s a nice change and a slightly healthier option than using heavy cream (that, and the fact that I almost never have cream or milk in the fridge :P). 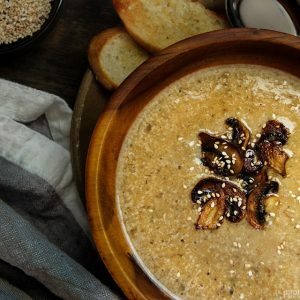 This method of using cooked rice to achieve a creaminess is a great technique for any kind of soups and is not just limited this garlic soup recipe – so experiment with it :). Just make sure the rice is cooked and not raw. If you still feel that it is still missing that decadence a creamy soup needs – just melt a bit of butter into it before you blend it together. 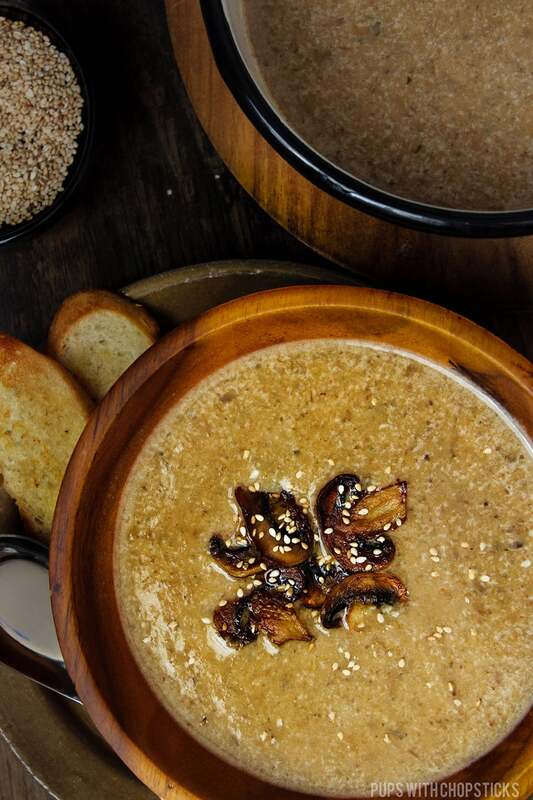 All ingredients for this roasted mushroom garlic soup can be find at your local grocery store. 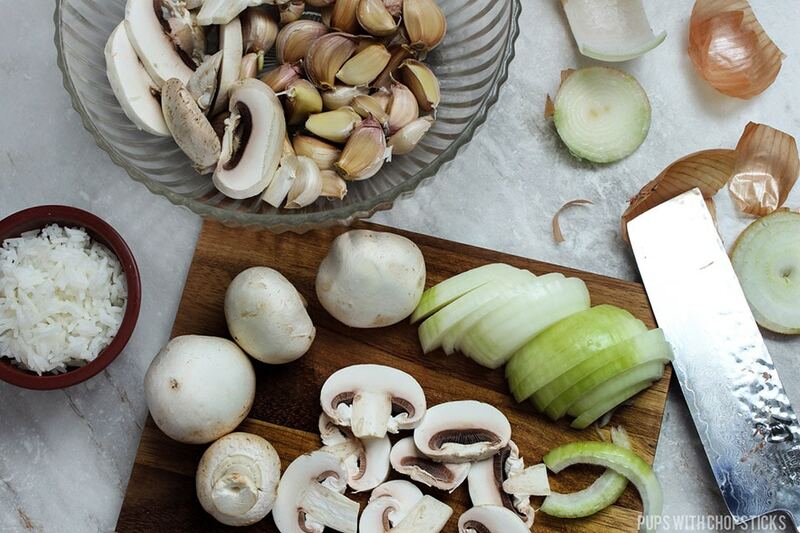 This is a very forgiving recipe, you can use any kind of mushroom in it but try to use a good quality broth if you can, it will make a big difference. 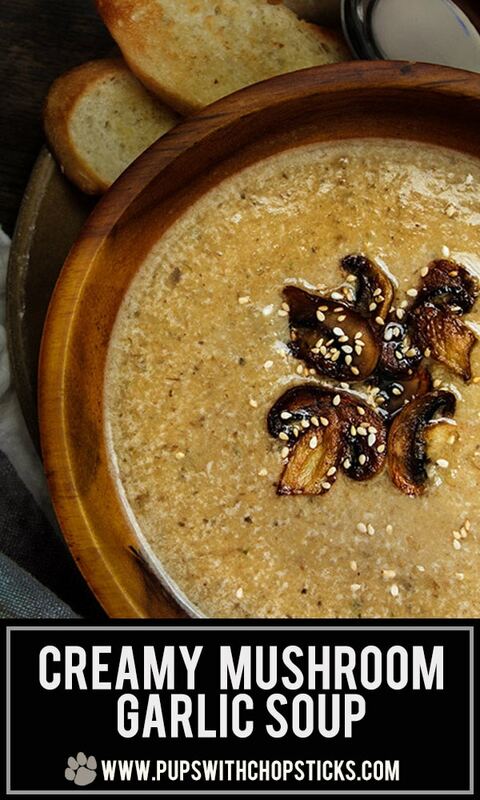 To create the creaminess part of this soup, I use cooked rice. Leftover rice is perfect for this. 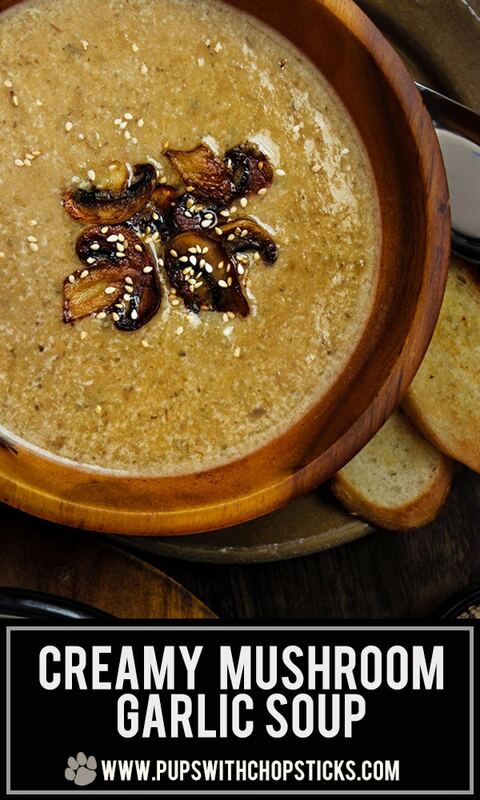 Once you blend the garlic soup, the soft rice thickens the soup and gives it a creaminess without the dairy. If you don’t have leftover rice, you can substitute it with heavy cream or milk – general rule is, the heavier the dairy the creamier your soup will be. Roasting ingredients definitely takes a little bit more effort, but is well worth it. Roasting concentrates the flavours of your ingredients as well as caramelizes it which then provides the soup different dimensions of flavours – a slight sweetness being one of them. I also find that when you are making a dish where garlic is the star of the show, roasting it takes the bite of it and provides a smoother garlicky flavour. When I roast my garlic, I personally enjoy breaking up the individual cloves before drizzling it in oil sticking it in the oven. I find it gives it it a bit more roastiness and caramelization. If you are pressed for time, you can cut off the top of the garlic bulb and keep it intact and stick the whole thing in the roasting pan. That way, when it’s time to use it you don’t need to peel each individual clove, you can just squeeze out the garlic by squeezing the roasted bulb. Break up the garlic cloves and remove the outer skin and garlic stem. Keep the skins on the actual garlic cloves. 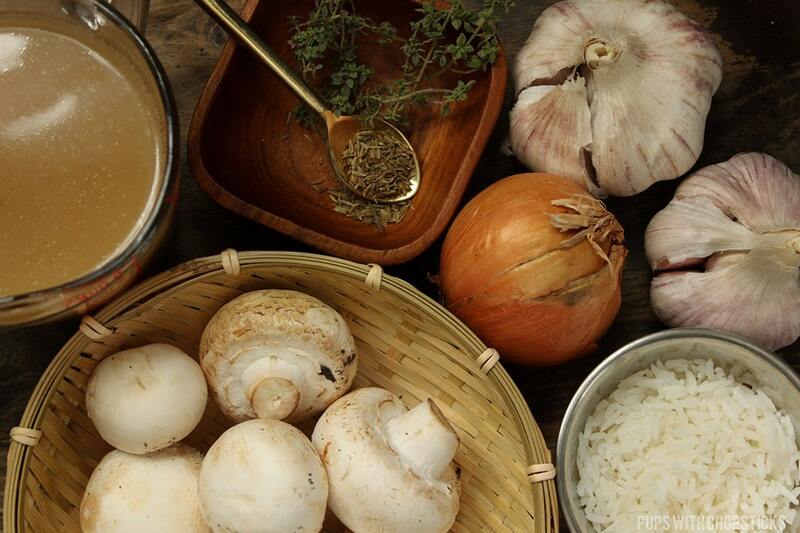 [Alternative Garlic Method] To create less mess and make it more simple, you can cut off the tops of the garlic bulbs with the skin intact, instead if breaking them apart and drizzle oil all over it. The garlic will be less roasted but easier to deal with. Wipe the mushrooms clean with a dry paper towel and slice them. I find they are easier to clean with a dry paper towel with a dusting motion than a damp paper towel. Once the mushroom is slightly slimy, the dirt just gets pushed around instead of dusted off. When the oven is up to temperature, put it in the oven and set a timer for 20 minutes. When 20 minutes is up, check the roasted vegetables to make sure the onions are not burning and give it a quick flip and put it back in the oven for another 20-25 minutes until everything is golden brown. 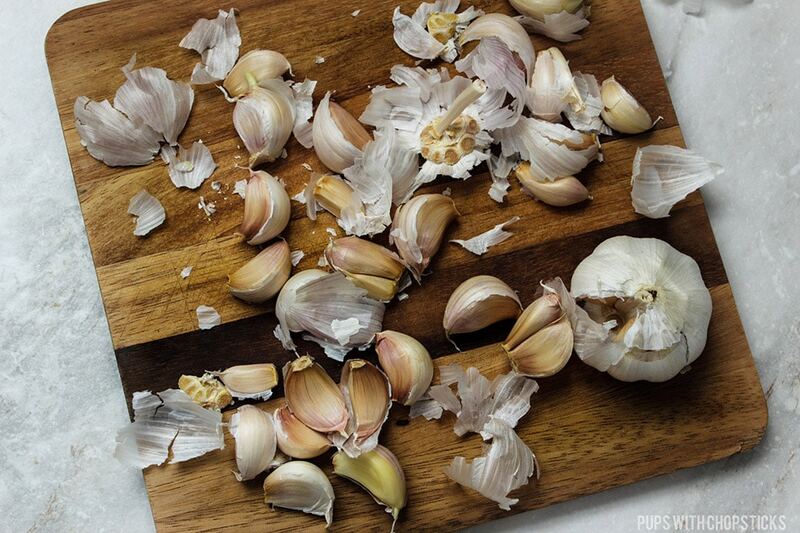 Once the garlic is done roasting, remove it from the oven and let it cool before using your hands to touch it. It’s super hot. 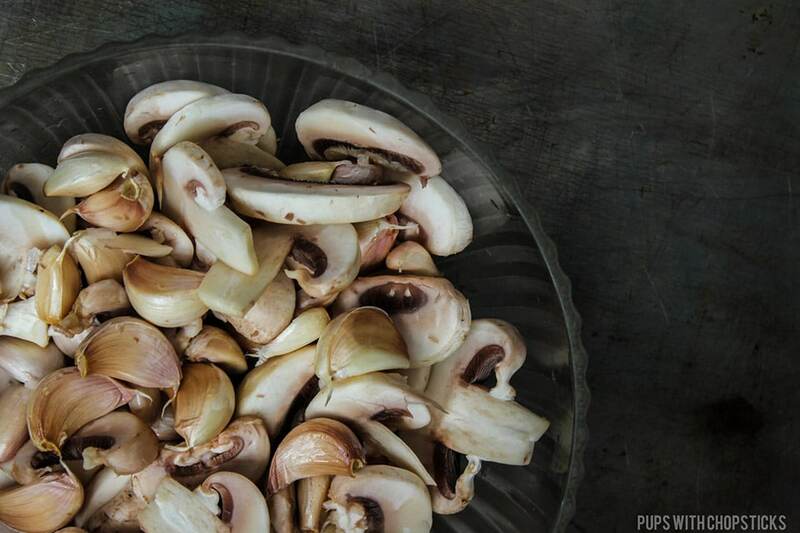 Once the garlic has cooled, if you separated the cloves – peel the garlic and add it to the soup. If you cut off the tops of the bulbs – squeeze out the garlic through the openings or use a spoon to scoop out the soft garlic. Simmer the soup for another 10-15 minutes to let the garlic meld into the soup. cooked rice?! i would have never thought to use that to thicken a soup!!! love the idea (: and garlic is life, so bring on allll the garlic. I totally hear ya…garlic is life haha! That soup looks absolutely delicious, I can’t wait to make it! 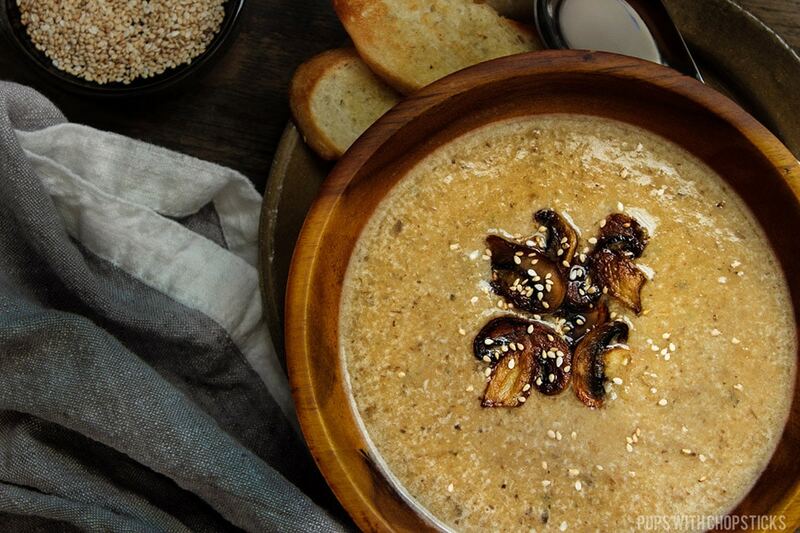 It’s a much sweeter and smoother flavour, the roasted garlic. I love spreading it on toast as well! haha It’s delish! Never tried using rice to add creaminess to a soup. Trying this healthier version soon. Oh my goodness, this sound divine! Love the idea of using rice instead of dairy (I’m intolerant). I’m going to pin this for next time the family goes down with winter bugs – thank you!